Concordia College Alabama was a private college of the Lutheran Church–Missouri Synod, located in Selma, Alabama. It was the only historically black college among the ten colleges and universities in the Concordia University System. The college ceased operations at the completion of the Spring 2018 semester, citing years of financial distress and declining enrollment. In 1919, African-American Lutheran congregations in Alabama petitioned the Evangelical Lutheran Synodical Conference of North America for funds to open a high school and college to train church workers. 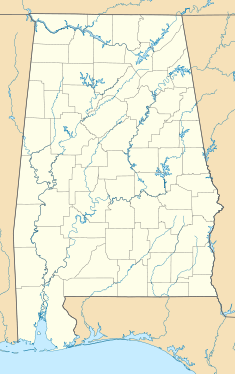 The school opened in 1922 in a rented cottage, and the Synodical Conference soon purchased 13 acres (5.3 ha) in northeast Selma, Alabama as the site of the Alabama Luther College. A recitation hall (now named Bakke Hall) and a dormitory were erected at a cost of $36,000 and opened in 1925. The college was forced to close during the Great Depression and the remaining high school was renamed the Alabama Lutheran Academy. Eventually the college was reopened, resulting in the name Alabama Lutheran Academy and College. In 1981 the name was changed to Concordia College Alabama, and in 1994 it gained accreditation from the Southern Association of Colleges and Schools as a bachelor's degree-granting institution. In February 2018, the college announced that it would close at the conclusion of its academic year due to enduring financial problems. The 147 members of the final graduating class received their diplomas on April 28, 2018. On January 3, 2019, Dr. Paul J. Kim, a Korean minister, signed paperwork to purchase the campus. He plans to open a "mission retreat center", similar to Yoido Full Gospel Church's Prayer Mountain Korea. He also intends to establish a "contemporary music university" over the next two years. Concordia College's Bakke Hall and the Dormitory, completed in 1928, were both added to the Alabama Register of Landmarks and Heritage on June 19, 1997. In 2010 Concordia increased the size of its campus from 22 acres (8.9 ha) to 57 acres (23 ha) by acquiring the grounds and buildings of the adjacent United Methodist Children’s Home. The college had 445 students during the Fall 2017 term. The Concordia College sports teams, collectively known as the Hornets, competed in the United States Collegiate Athletic Association (USCAA). Men's sports included basketball, soccer, and baseball, while women's sports included softball, track, soccer, golf and volleyball. The college fielded a football team from 2005 until it was cancelled at the end of the 2015 season due to costs. Concordia College Army ROTC, a satellite program of Marion Military Institute, featured more than 25 cadets. ^ a b "Concordia University System enrollment dips amid 'challenging culture'". LCMS Reporter. November 15, 2017. ^ a b "Properties on the Alabama Register of Landmarks & Heritage". Alabama Historical Commission. www.preserveala.org. Archived from the original on 4 September 2012. Retrieved 25 October 2012. ^ a b "Concordia College Alabama closes: 'Nevertheless,' Dr. Rosa J. Young's legacy continues". Reporter. May 16, 2018. Retrieved May 19, 2018. ^ a b c "History of CCA". Concordia College Alabama. Retrieved October 13, 2015. ^ Drewes, Christopher F. (1927). Half a century of Lutheranism among our colored people, a jubilee book. St. Louis: Concordia Publishing House. pp. 90–93. Retrieved August 17, 2013. ^ Deshazo, Blake (February 21, 2018). "Concordia College Alabama to close at the end of spring semester". Selma Times-Journal. ^ Powell, Adam (January 3, 2019). "New Concordia owner has 'big plans' for campus". The Selma Times-Journal. Retrieved January 20, 2019. Dickinson, Richard C. Roses and Thorns: The Centennial Edition of Black Lutheran Mission and Ministry in the Lutheran Church—Missouri Synod. St. Louis: Concordia Publishing House, 1977. This page was last edited on 20 January 2019, at 22:03 (UTC).